WHAT IS CATHOLIC TEEN BOOKS? 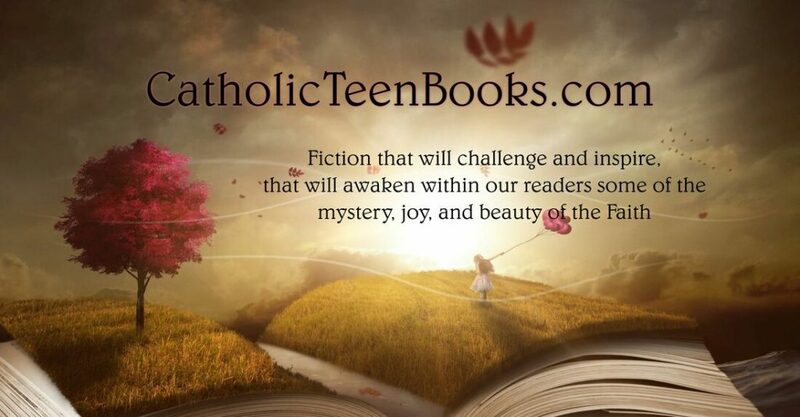 Catholic Teen Books is a lay organisation of authors committed to the writing and promotion of exciting novels for Catholic teens, in the hope of counteracting the anti-God culture that permeates society today and leaves young adults with very few wholesome literature choices. Please be aware that I have not personally read every single book represented on the Catholic Teen Books website, and therefore cannot endorse or recommend every title. It is always the parents’ and/or reader’s responsibility to discern which books may be suitable. There is a teacher’s section to help you decide, and Amazon and Goodreads reviews can help to give you a feel for each book and see what others think of it. Some books may be fine for most readers, but may contain elements not appropriate for younger or more sensitive teens. A small minority of the books on the website contain certain story elements that I cannot personally endorse, but you may well consider that they are still a million times better than reading secular novels with blatant anti-religious or immoral messages. It also goes without saying that everyone has different tastes in books, and not every reader or parent will agree with every story, theme, or even genre that appears on Catholic Teen Books. If you would like a list of the books that I have personally read and can endorse, please feel free to contact me and I’ll be happy to share my personal recommendations. Otherwise, just head on over to Catholic Teen Books and explore the many exciting novels there. You’re bound to find something great to read! P.S. A great way to get to know some of the Catholic Teen Books authors is by reading Secrets: Visible and Invisible, a collection of short stories that will not only introduce you to seven of the CTB authors, but also give you hours of enjoyment!